Zebrafish scales. Yellow regions show the cells which produce bony material, and the magenta regions shows the bony material. New research shows that the processes involved in hair, fur, and feather growth are remarkably similar to the way scales grow on fish—a finding that points to a single, ancient origin of these protective coverings. When our very early ancestors transitioned from sea to land some 385 million years ago, they brought their armor-like scales along with them. But instead of wasting away like worthless vestigial organs, these scales retailed their utility at the genetic level, providing a springboard for adaptive skin-borne characteristics. Over time, scales turned into feathers, fur, and hair. We know this from the archaeological record, but as a new research published this week in the science journal eLife shows, we also know this because the molecular processes required to grow hair, fur, and feathers are remarkably similar to the ones involved in the development of fish scales. A research team led by Andrew Aman from the University of Virginia came to this conclusion after studying the patterns of growth in the scales of zebrafish, a well-studied aquatic animal (especially at the genetic level). 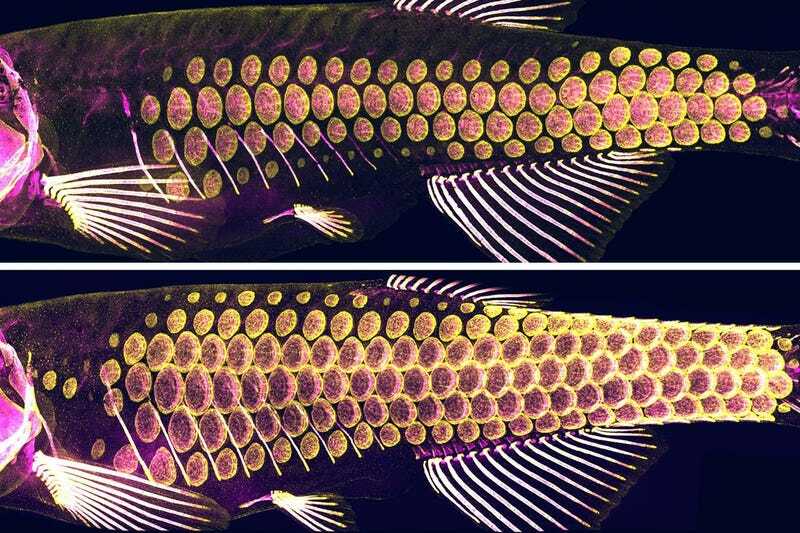 Zebrafish have a coat of intricately patterned bony scales; Aman’s team observed and manipulated the growth of these scales, taking note of how they took shape and formed in overlapping layers. They also looked at the cellular processes involved in this developmental patterning. Specifically, the researchers managed to identify three interacting molecular mechanisms responsible for zebrafish scale development, namely the Wnt signaling pathway (proteins that pass signals into cells), ectodysplasin A (a protein required for skin growth in many animals, including humans), and the fibroblast growth factor, another cell-signaling protein. These molecular processes are still around today, and they’re responsible for the skin features we see today in birds and mammals. As humans, we have a tendency to look at our more recent ape ancestors when trying to identify the origins of our numerous characteristics. This latest study reminds us that our evolutionary history goes back much further in time, and that we owe many of our characteristics to some of the planet’s earliest creatures. 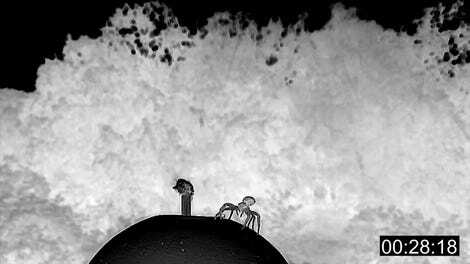 Does Earth&apos;s Shifting Orbit Influence How Life Evolves?